Catering to the evolving needs of customers, Dish TV India Limited, world's largest single-country DTH Company is set to galvanise the industry with its new acquisition offers for both its brands. Recently many popular entertainment channels were taken off from Free Dish, and these customers are in need for their daily dose of entertainment. To benefit these customers, 'Bharat Cricket Combo' on DishTV and 'Value Combo' on D2h are affordable new acquisition offers for cricket lovers at just INR 1,270 and 1,292 plus taxes for three months respectively. This has stirred up the entire market and led to doubling of new customer acquisitions and tripling of win-backs over last few days. Under this offer, the company is offering 'India Cricket Service' on DishTV & 'India Cricket' on D2h, which is an add-on/service along with FTA channels and popular Hindi channels ranging from infotainment, drama, devotional, news, music and movies. India Cricket Service is an advance request based add-on/service, which telecasts all the three formats (ODI, T20 and Test matches) of Indian men's cricket team matches. Furthermore, customers can opt for more add-ons and bouquet services as per their choices including Set Top Box and free installation only. Commenting on the announcement, Mr. Anil Dua, Group CEO, Dish TV India Limited said, "In continuation of our efforts to provide maximum entertainment to the customers at affordable prices, we are delighted to announce very attractive offers on both our brands for cricket enthusiasts. The new offers are aimed at offering hassle-free cricket viewing experience along with mass entertainment and movie channels. We hope to acquire new customers specially from the rural markets and Hindi language speaking areas." 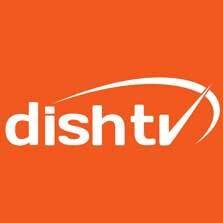 To activate this new service DishTV customer can give a missed call to raise an advance request from their registered mobile number on 18003157698. For d2h customers, the add-on can be activated through a missed call on 18003150002.